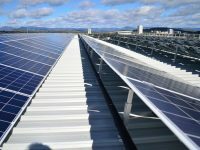 The solar rooftop arrays located at Canberra Hospital is expected to save the hospital close to half a million dollars in its energy bills. The 24-hour facility uses 18 percent of its home state’s electricity. With the installation of over 1,900 Trina Solar modules, the hospital’s annual energy use is expected to decrease by over 700,000kWh. Canberra Hospital is a 600-bed acute care teaching hospital. 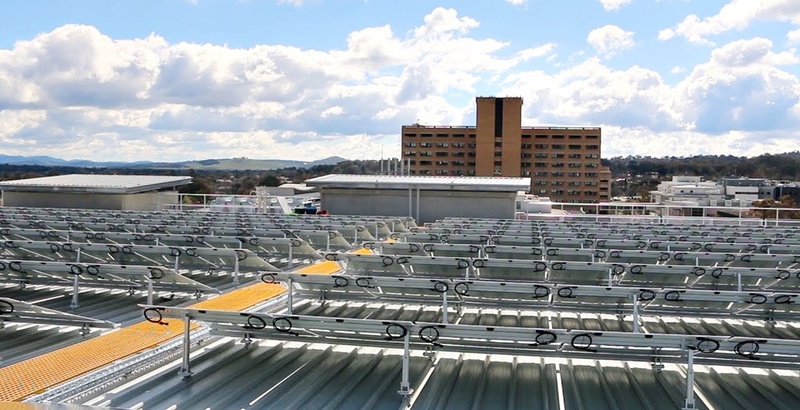 As the largest public hospital located in the Australian Capital Territory (ACT), it supports a population of 540,000 and provides a broad range of specialist services. Delivering critical services around the clock, the hospital uses 18 percent of ACT’s energy sources and is the state’s largest consumer of power. 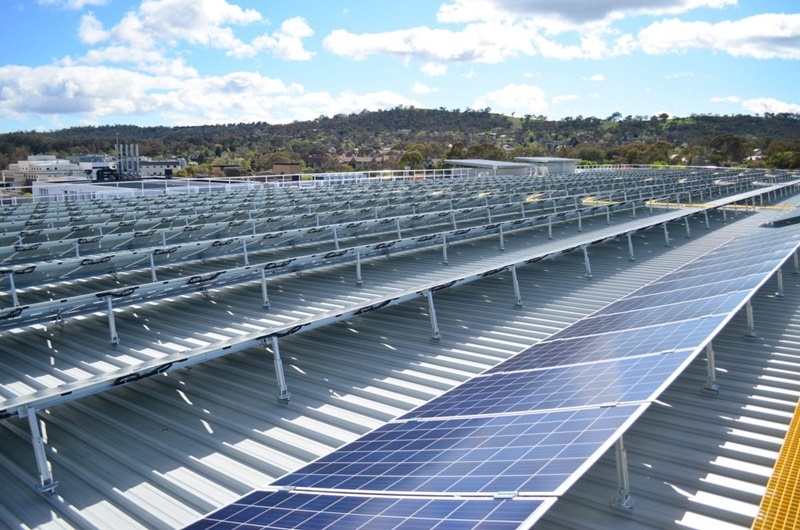 Backed by a federal government grant of AUD $3.3 million to lower its carbon footprint and boost its energy efficiency, the hospital turned to renewable power sources. 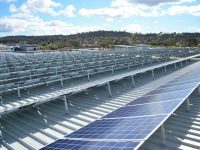 It embarked on a project to install solar panels on the roof of the facility’s multistorey carpark along with energy-efficient lighting. 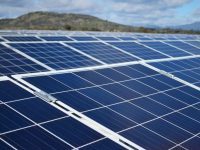 The project was managed by the Solgen Energy Group, who partnered with Trina Solar for the design and installation of the solar rooftop arrays. 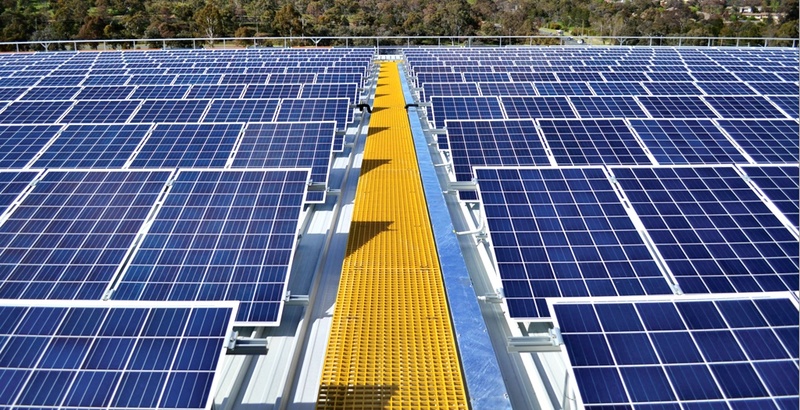 Over 1,900 Trina 260W Duomax panels were used for the hospital’s solar roof installation. With an innovative double glass module that prevents leakages, the panel is incredibly resistant against moisture and material ageing. It also has a faster heat dissipation rate making it the optimal solution to perform in hot temperatures. The panels were tilt-mounted to the roof surface on a nonpenetrative aluminium railing system. A fiberglass walkway was installed to facilitate easy maintenance access. The frameless design of the Duomax panels keeps the modules self-cleaning and performing efficiently. 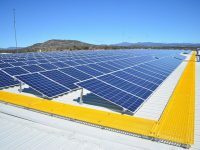 It require a less extensive BOS, lowering the overall carbon footprint of a solar installation. 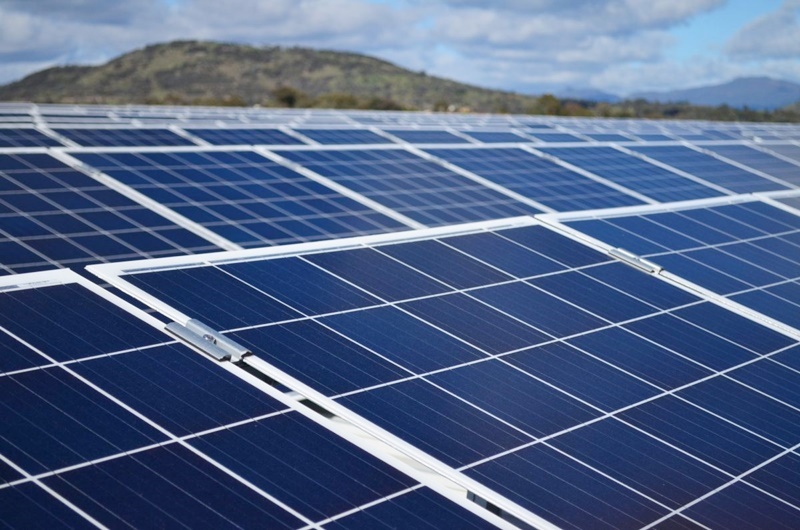 Trina Solar’s Duomax 260W modules offer a 30-year performance warranty. This is in contrast to the industry standard 25-year warranty and provided an extra return on investment for the hospital. 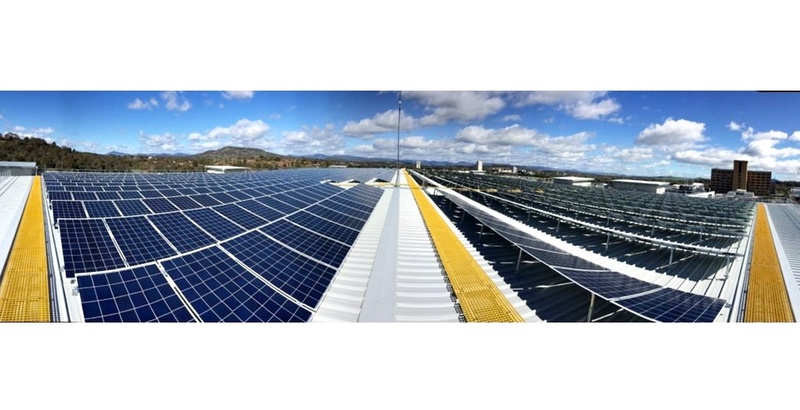 Canberra Hospital has been generating solar energy since October 2016 at a capacity of 826.6MWh per annum. 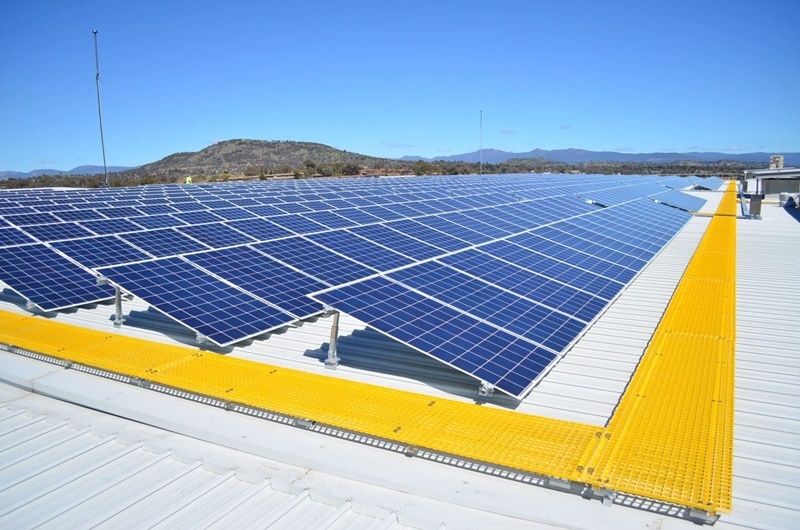 The solar installation has significantly reduced energy consumption by 721,000kWh per year, saving the government up to half a million dollars in energy bills. These financial savings will enable funding for other initiatives in the state. Along with the solar panels, other energy saving measures adopted include motion-sensor lighting and improved window glazing. 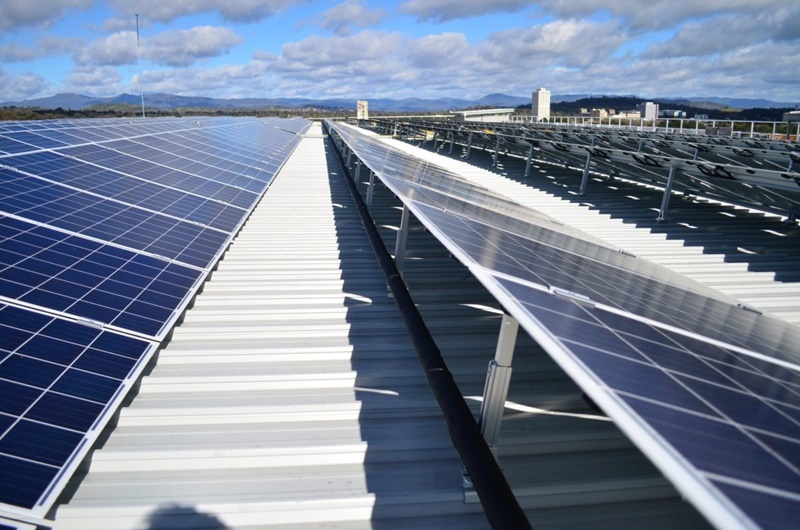 This project was part of the ACT government’s aim to make itself carbon neutral by 2020 and is an excellent example of a public facility demonstrating positive action on climate change.